Wow…between traveling and work, I haven’t had any time to blog. 😦 But I recently logged in and found all the new Paper Couture Spring goodness. I sort of went crazy…Paper Couture crazy!! I love the whole flower theme and the spring colors. 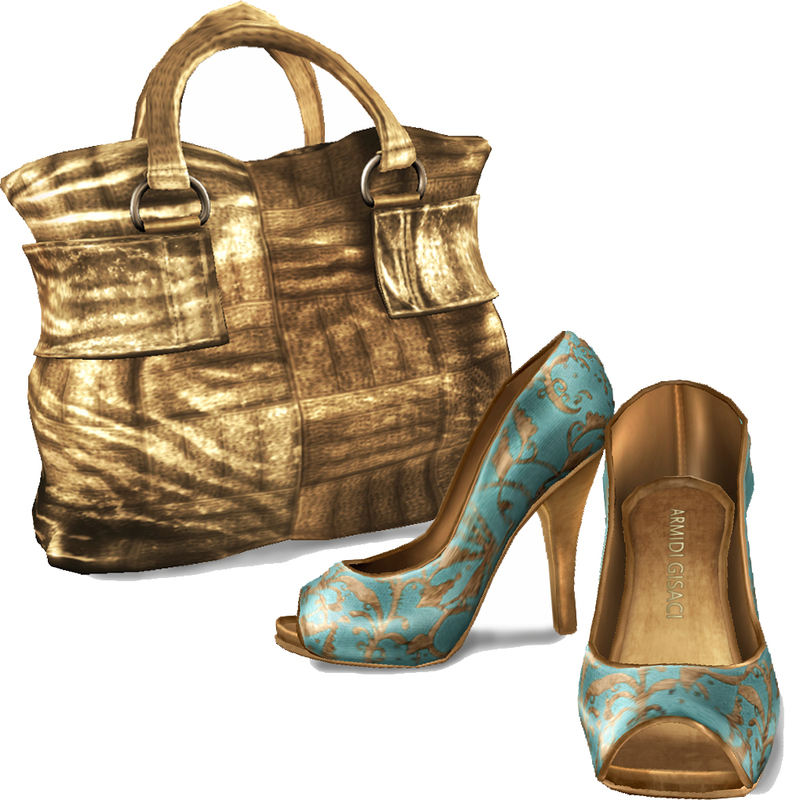 The jewelry is fantastic (my jewelry box is now bulging) and the shoes are some of the most incredible I have seen in sl. So I wanted to put a post together— although I know everyone has been there, seen all the fabbie things and spent their lindens!!! Come on, I have to justify—at least to myself—all my spending (!!) So here is one of my favorite Paper Couture Spring Collection outfits, Beaded Wildflowers, re-imagined a couple of different ways. Above you see the original dress with all its wonderful detail. I really love the colors and textures! The big flower on my head is from one of the incredible new hairs from the Lu sisters–but worn here on a different hair style. I love the bright pinks and the tight -fitting pants with this top too. I added the belt with the bow which is modifed and taken from an Armidi coat dress. 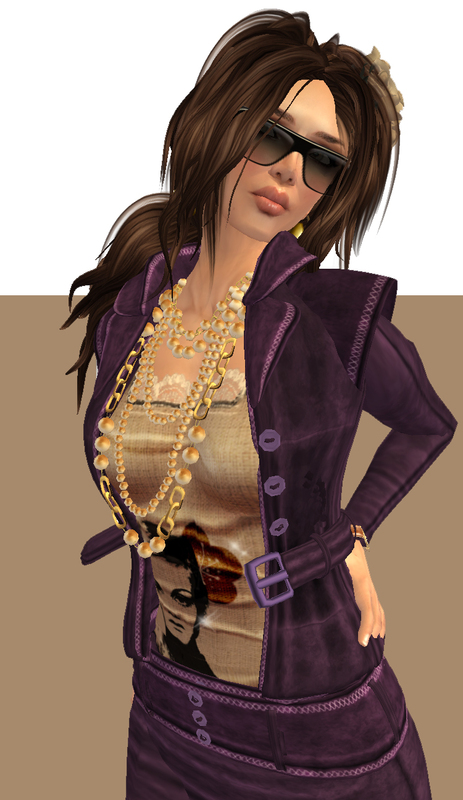 Below is a third outfit created with the same top by adding a short skirt ….super, super cute… from Sugarcube. It comes in several colors and is a great, versatile addition to the wardrobe. I really love the shape. Instead of the agate necklace worn above, this is worn with the P.C. Fabric Bead scarf necklace….one of my favorite things from the entire P.C. collection. Anyway, sorry about the picture spam but I just couldn’t decide on my favorite…I liked them all. Hope you do too. Yay for the Lu sisters!!! The sun is shining, the birdies are singing and I feel……like wearing Pumpkin Pants!! OK these Pumpkin Pants (really the name) are sooooo cute……that when I walked into Coco’s new location and saw them, I didn’t think twice…click, click, click. No fatpacks unfortunately—so I just had to get all the colors separately. They come in beige, black, blue and white…all with the belt as part of the pants which means it fits perfectly! The short jean jacket is also from Coco and the sculpty parts are so well done it is irresistible. If you were not into jean jackets before—you will be after you try this one. For the hair I wanted something really fun and this one from DejaVu sort of sets the tone for the entire outfit. I think it has a sort of “Cutie Pie” look to it…. just look at the Smiley faces 🙂 on the pony tail holder!!! To finish it off I put on these platform lace-up heels from AW Designs. These shoes make me really smile…there is something a little Minnie Mouse about them…especially worn with something like this. Hope you like it too. OK. Now I am going outside…to listen to the birdies. Ok, I admit it…a couple of weeks ago when Lelutka’s new Spring line came out I went a little crazy. I wanted everything in EVERY color. What I found really great were the subtle nuances of the spring colors when they were layered with other fabrics. Gorgeous. I finally got a grip and at least managed to limit myself on the color selections but it wasn’t easy. I have snuck back a couple of times to add pieces in more colors. But…shhh!…..I don’t want news of my Lelutka addiction to get around. This top was the very first piece I bought. I loved the color and the pattern and when I tried it on !Wow! it fit so well and had a sheer layer that looked so realistic that I was hooked. I won’t tell you how many colors I now own but let’s leave it at “a few”. I also have a new love for system skirts. I do alter my shape in order to control the “large derriere syndrome” but then I think they look really great. (If only that were possible in my other life!) The skirt I am wearing here is from Maitreya and I wanted it in every color as well but hey, my Lindens will only go so far. I did manage to buy a couple and I must say this color is so wonderful. It is a brown with a slightly yellow cast that pairs wonderfully with gold. 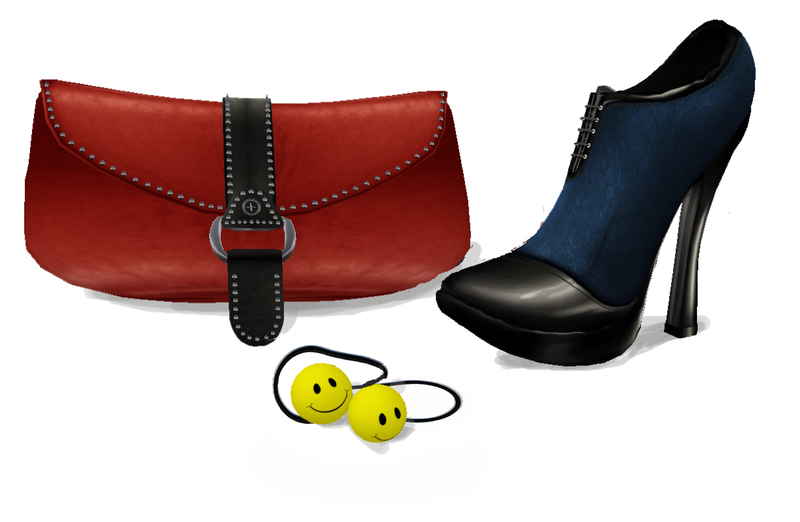 I added some of my all-time favorite shoes from Armidi (I made a large photo so you could see the fantastic texture and color) and an Armidi bag too. They really know how to do “gold” at that store. The necklace is from Icon and has lots of chains and charms…..gold but light in feeling. The earrings are also new from Miabella Foxley for Lelutka. Okies..I feel good…spring is here and the new spring clothes are arriving..slife is good! While cleaning and sorting inventory the other day I came across an old favorite from Last Call. The whole LC outfit is named Marguerite and I always loved it. Beautiful textures and design, the trademark of Ginny Talamasca. I confess I am guilty of wearing mostly new acquisitions …probably because I forget what I have buried in the deep recesses of my closet! Oh, so here was the perfect opportunity to put it (the top at least) together with one of my new favorites from Coco, the Party Dress. Since the Last Call top is transparent I added under it the top part of another old favorite from Ghost! by Triangle Caudron. (Ghost! is no longer around but Triangle is and has a new store called Triangle so go see it for some of the most imaginative design on the grid.) A recent purchase was the Goth Necklace from Fashionably Dead….I love the multiple chains and the length. The sash is taken from Day Dream from Sweetest Goodbye, which I modified slightly. I found this clutch bag at +plus and if you haven’t been there you should go, lots of really great goodies there. Anyway after a hard day of cleaning inventory I was happy with this look and have resolved to continue to incorporate older items from my inventory into my daily wardrobe. Those that have the quality and the style will stay in the closet and the others that haven’t stood the test of time will be weeded out and *gasp* deleted. The point is don’t forget the some of the old favs……bring them out and have fun!